The Android N Developer Preview is now available for download for the Nexus 6P, Nexus 5X, Nexus 6, Nexus Player, Nexus 9, and Pixel C devices. 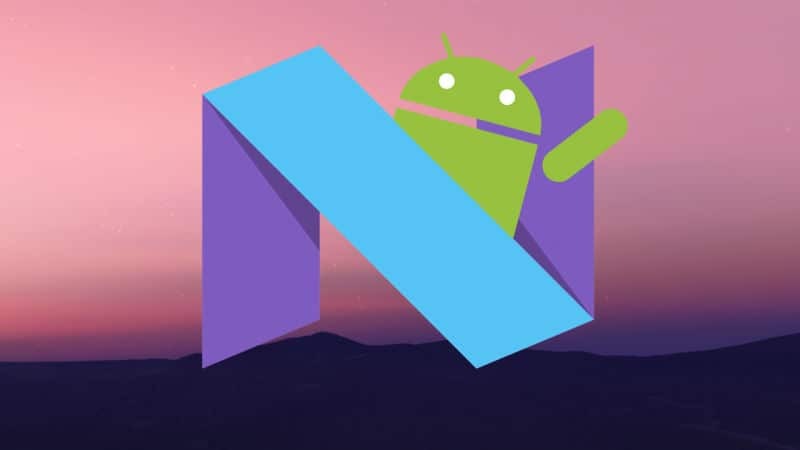 Google has introduced lots of new features in Android N Preview and before going to install it, you can go through our article: Android N Developer Preview: New Features Overview. 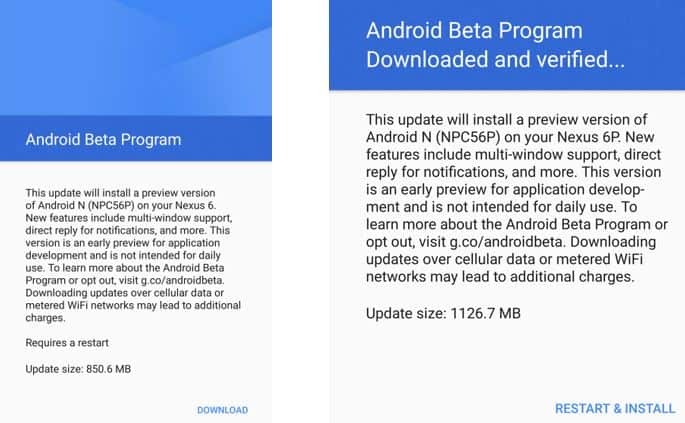 There are two ways to install the preview on your device one is via factory image and another is OTA updates. Step1: First of all, install Android Studio Preview on your system. This program will help you to connect the Android device via Micro-USB cable and flash the new Android build to the device. 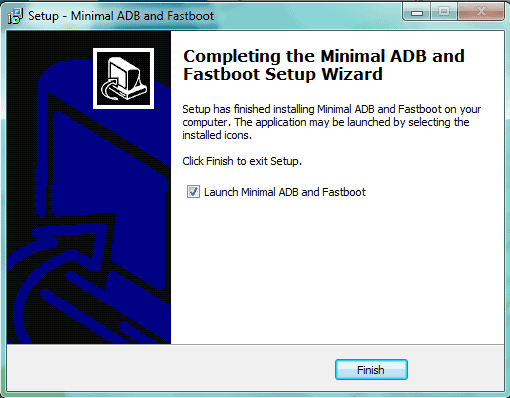 With Android Studio Preview, the ADB and Fastboot program are also installed which can be accessed through the command terminal on your PC. 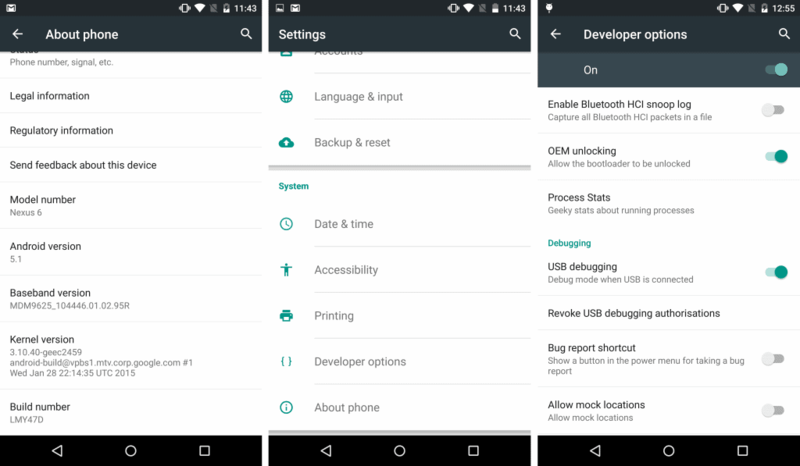 Step 2: Download the Android N Preview factory image for your device from here. Step 3: Go to Settings > Developer options and tick USB debugging. Step 4: Extract the images and save on your computer. Step 5: Connect your device to your computer over USB. Step 6: Start the device in fast boot mode. Step 7: Navigate to the unzipped system image directory. Step 8: Execute “flash-all.bat”, which should unzip image files and install the necessary bootloader, baseband firmware(s), and operating system. After some time with several reboots, it will install Android N Developer preview on the device. It is the simplest way to install the Android N Developer Preview. It is done via the Android Beta Program. 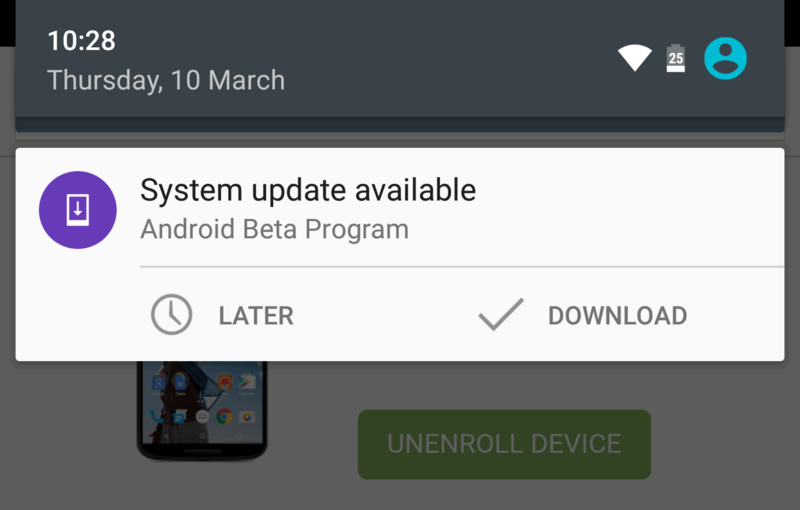 Just enroll your device in Google beta program and you will get the Android N update over-the-air. The plus point of this method is you don’t need to flash your device. Moreover, you also get future pre-release Android N beta updates as soon as they become available, as well as maintenance releases (MRs). 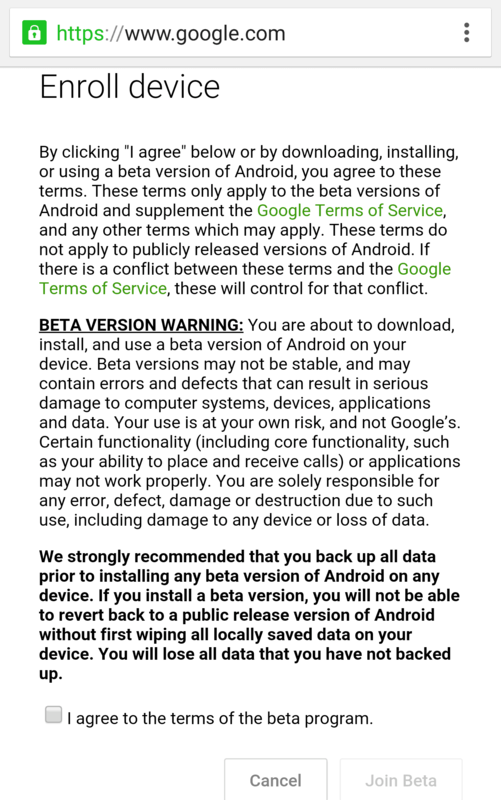 Any user can opt-out the beta program and can return to a stable public version of Android at any time. 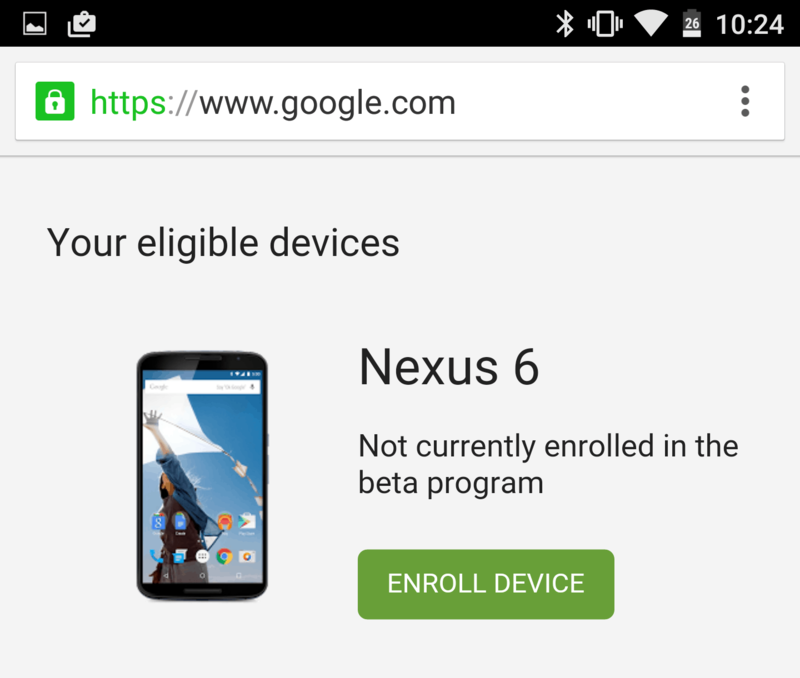 Step 1: To enroll the device in Google’s beta program just go to g.co/androidbeta on your desktop or mobile browser. Step 2: Sign into your Google account but you should have an eligible device (devices eligible are the Nexus 6, Nexus 5X, Nexus 6P, Nexus 9, Nexus Player and Pixel C). Step 4: A system update will then be offered to your device. Users can check to see if an update is pending by navigating to Settings > About > System updates. Step 5: You will get update notification instantly or it may take 24 hours. If you don’t receive it in 24 hours then check your internet connection or go to settings->About and check for System updates. If you have received the update notification then just pull down the notification bar and choose Download. Step 6: Once you download, you’ll be told to install a preview version of Android N on your device. Click on Restart & Install option as shown in below screenshot for the installation process.